Instagram hashtag like and follower bot (beta). Is there a better alternative to Instanity? Is Instanity really the best app in Social Networking category? Will Instanity work good on macOS 10.13.4? Instanity gains real followers by interacting with them and bringing their attention to your profile. Just insert your favorite hashtags and Instanity will automatically interact with real users. Grow your social media extremely fast, by letting the app follow and like other users. 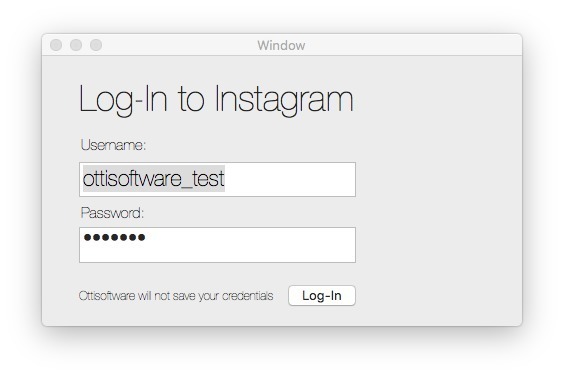 Why Instanity? 1 real follower is better than 1000 fake followers. By using Instanity, only people who show interest in you will like and follow you. These followers will also interact with you when you upload new photos. This is the only way to build up a loyal user base. Instanity needs a rating. Be the first to rate this app and get the discussion started! How does it work? 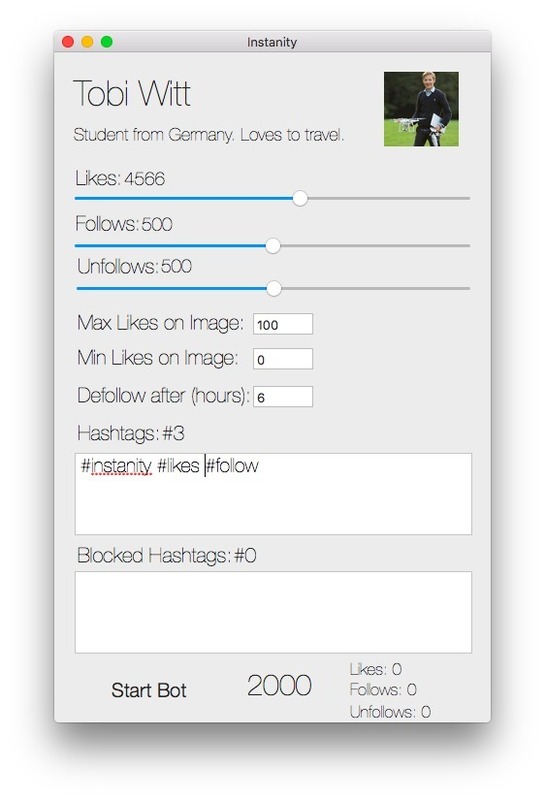 Instanity likes and follows users with certain hashtags based on your interests. These will check your Instagram profile, and will like and follow you back. Make sure that your profile is not private.